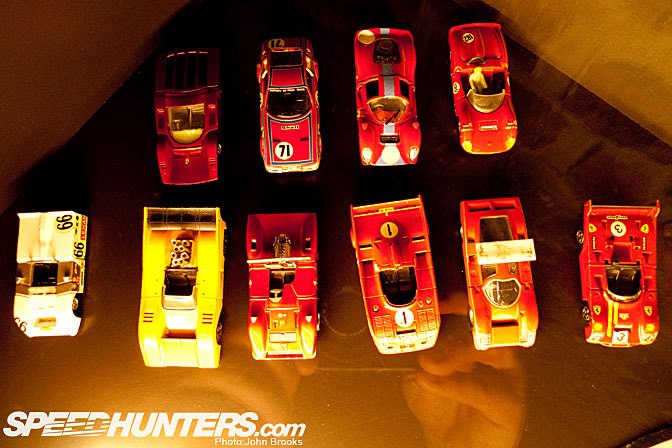 The SpeedHunters' tribe travels the length and breath of the planet in pursuit of our Holy Grail. This takes us to many locations, some that would be expected, some not. 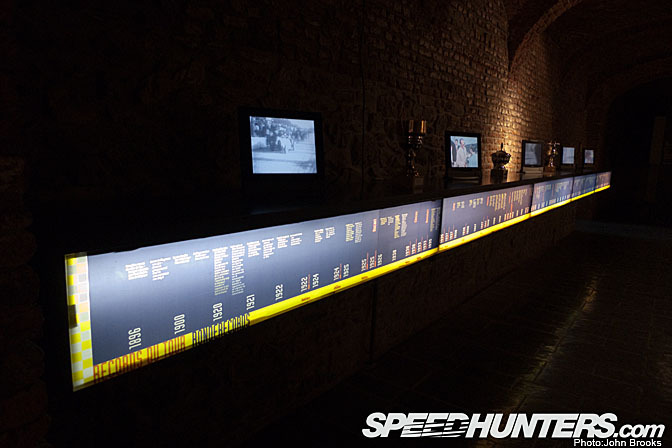 I would contend that the cellars of a medieval abbey would feature in the top ten list of unlikely venues for SpeedHunting, but earlier this month, I found myself at such a place while on SpeedHunters' duty. 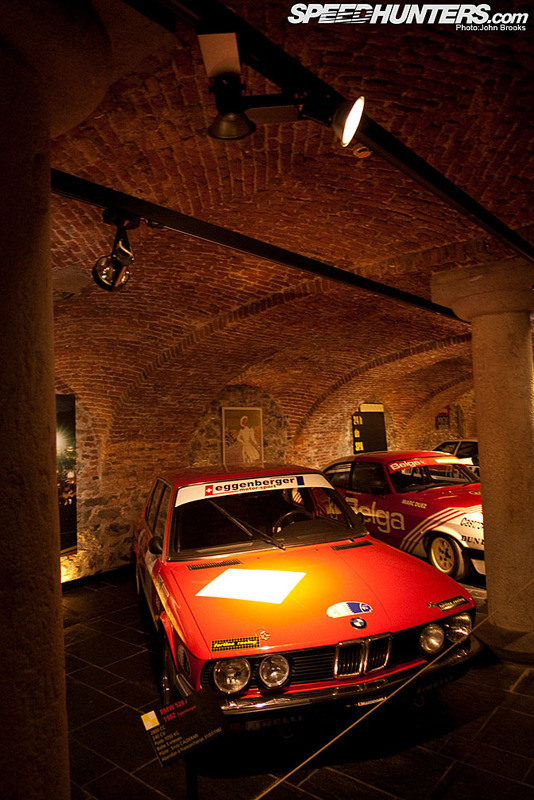 The Abbaye de Stavelot is located in the charming Belgian town of Stavelot, slap bang in the middle of the Ardennes region and is home to a museum celebrating one of the great motor racing circuit of the world, Spa Francorchamps, a true Temple of Speed. 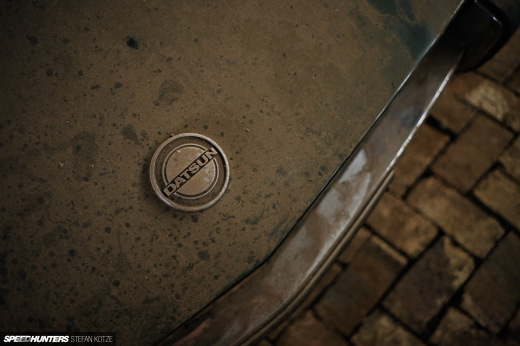 Compared with the likes of the Donington Collection or the NHRA Museum, Stavelot's assembly of cars and car culture is modest but is still worth the detour. 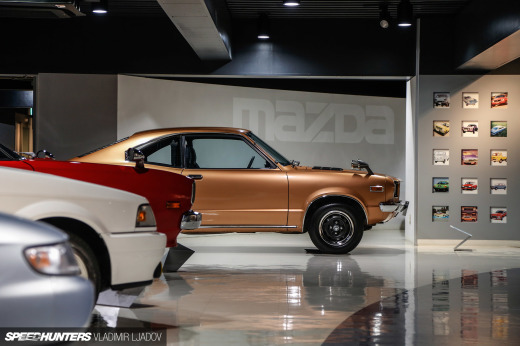 As with any collection of motoring cars and artefacts, the display is limited to what is available from the various owners. 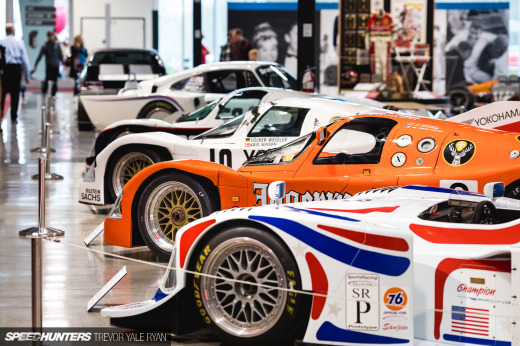 A local told me that during the Historic Racing season that many of the cars that are sometimes on display disappear as they are put through their paces at Le Mans, Silverstone or Nurburgring meetings. So there is an element of pot luck when descending the stairs to the vaults. Here in an unmistakable 70's livery is a Toj-BMW, one of the mainstays of junior prototype racing back then. 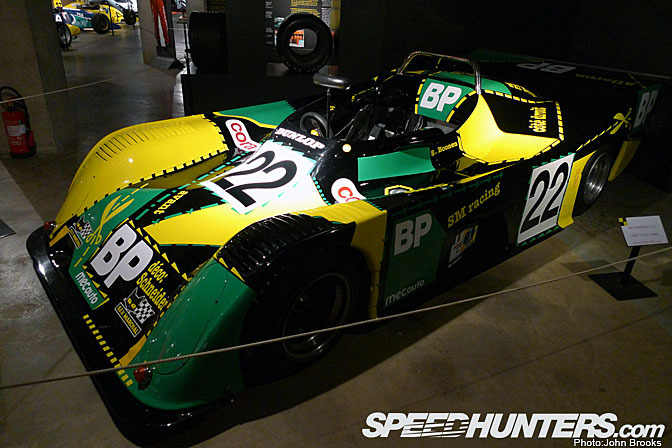 A contemporary Lola T280 Cosworth that ran in the top class during the early 70's. One thing is always certain when visiting a museum, there will be an off the wall, completely unlikely, exhibit. 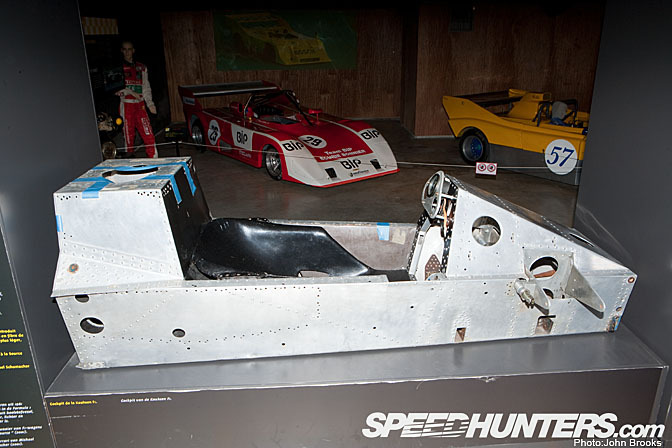 The thought that the disastrous Kauhsen Formula One car still existed, much less that the tub was intact and would be on display at Stavelot seemed a remote possibility. No, there it was, a supposed copy of the Lotus 79 wing car, but the designer missed the original point of the Colin Chapman design. A lot of money and a few careers went South with the project. Willi Kauhsen was much more successful as a driver of Porsche in sportscar racing. 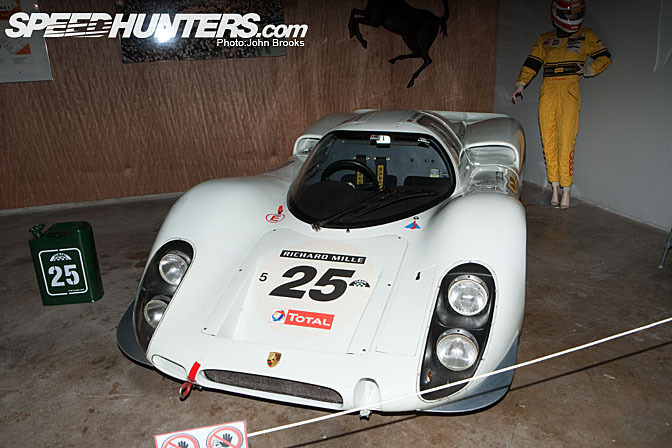 Here is his 1968 ex-factory Porsche 908 coupe. The styling brings to mind the early shape of the Porsche 917. In 1970 the car was one of the stars of the Steve McQueen epic "Le Mans" having been sold to Solar Productions for the making of the film. During an action sequence there was a severe accident that cut the 917 in two, grievously injuring the driver, David Piper. Porsche rebuilt the car, using chassis 034 and the renumbered car was despatched to the Gulf Porsche team of John Wyer. 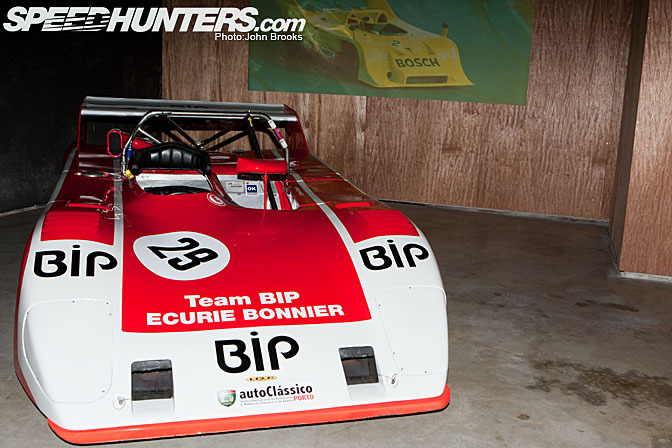 It was entered in five races, scoring four wins and a second, not bad for a second hand car. 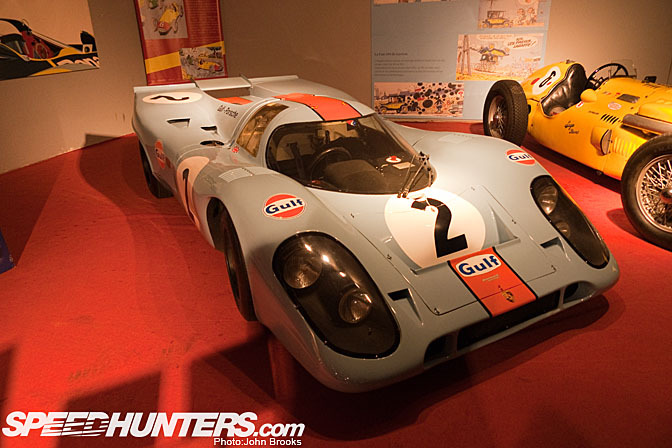 Gulf Porsche 917s will always linked to the great Mexican driver, Pedro Rodriguez, who has achieved legendary status amongst the 917 crowd. 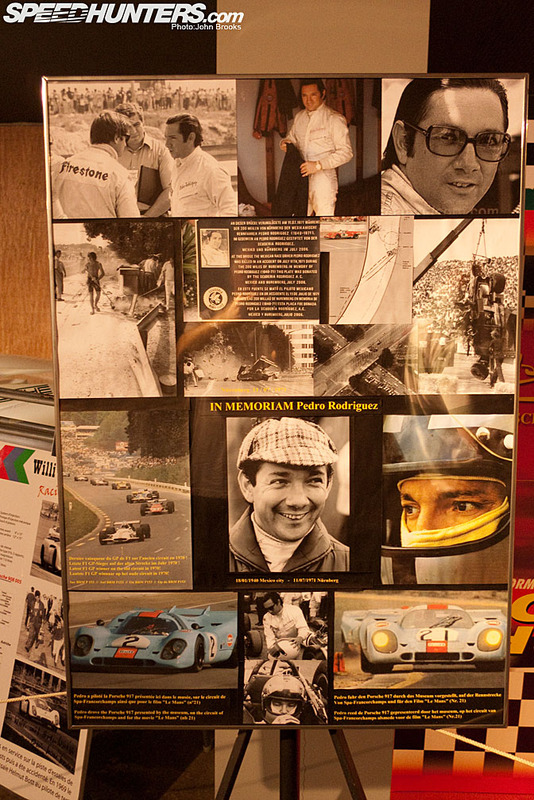 At Spa he won the 1971 1000 Kilometers and the year before the Belgian Grand Prix in a BRM. 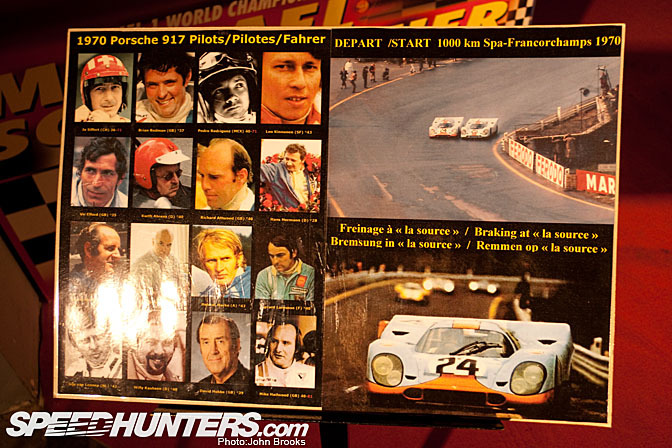 I looked at the relationship between the 917 and Spa earlier. It is perhaps worth remembering that on these public roads, back in 1971, Pedro, along with co-driver, Jackie Oliver, managed to complete the 1,000 kilometres in one minute over four hours………..incroyable. In 1970 the 917 created a sensation when in appeared in the Ardennes, look at the shot above at Eau Rouge on the first lap with Rodriguez and Jo Siffert door-handling………..lifting was not an option for either man. 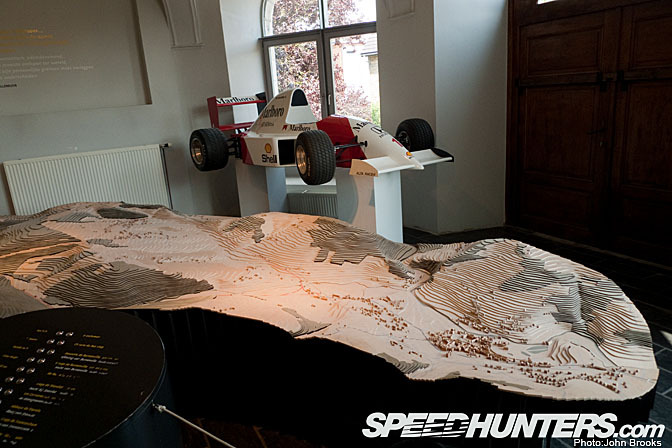 There is an ever changing Grand Prix element to the Stavelot Museum. 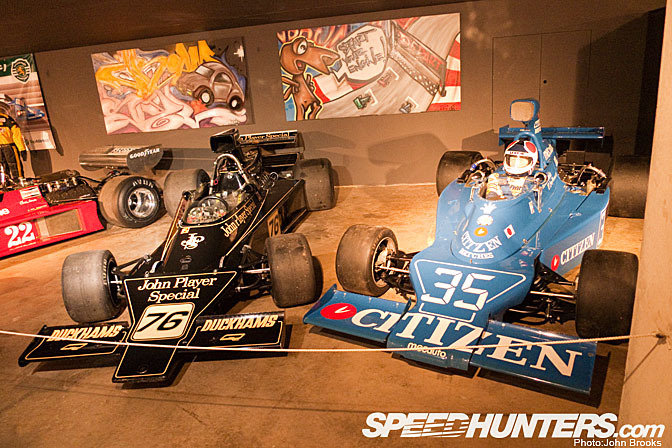 When I was there a Lotus 76, resplendent in JPS Black & Gold, sat cheek by jowl with a Maki F101. Neither car enjoyed much success. As part of an appeal to a wider audience there is an inter acitive map show the circuit topography. Of course is not all about Formula One or Endurance racing, all manner of motorised competition takes place around the track, from 24 Hours bike racing to a similar contest for Beetles. 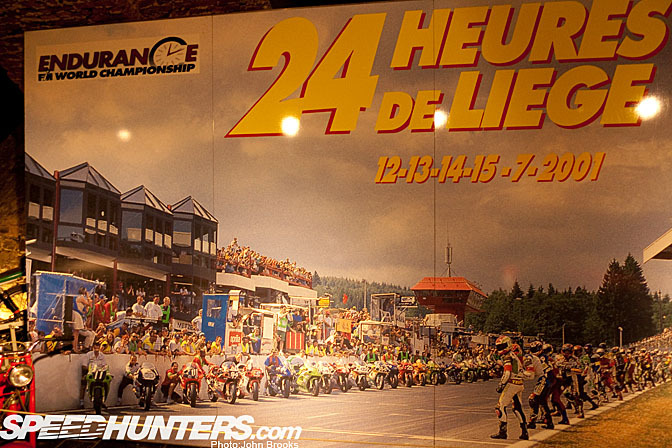 There is a strong tradition of Touring Car racing at Francorchamps with the 24 Hour event being run to those rules for most of its life. An Eggenberger BMW 528 takes a bow. Bringing that genre up to date is the Honda, which also gives a good illustration of the environment in the vaults. 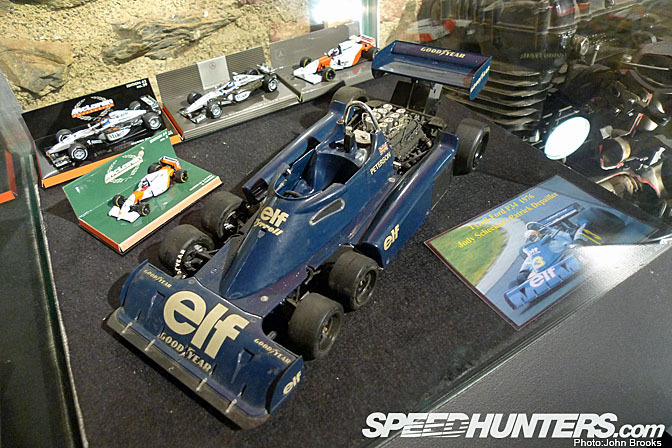 There were plenty of model car exhibitions which would, no doubt, have pleased Editor Rod. It rains a lot in the Ardennes, so any excuse to get into the dry is welcome, so an hour spent in the Stavelot Museum is a win-win experience and you just never know what you are going to see. hey thats funny, i was there 2 weeks ago, its a nice museum and with one ticked you can visit everything in the museum because there were paintings to! HO damn ! 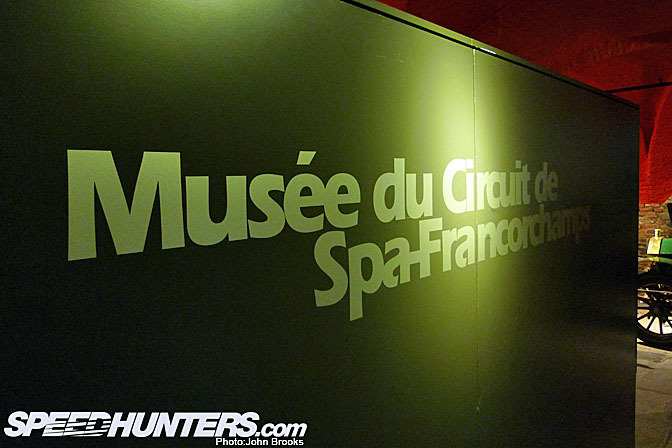 speedhunters where in belgium, I'm always looking arround you in Spa Francorchamps, great job, great pics, great guys ! Is that AE86 the same car you featured before? 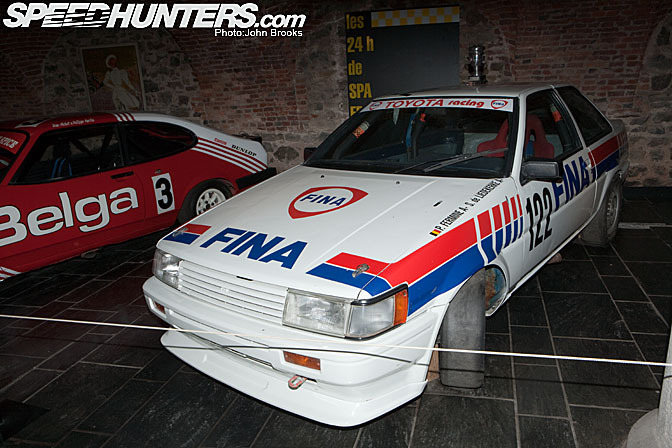 wow..looks like they put some of these cars straight in the Museum from the track.. nice to see a AE86 in fine fettle..